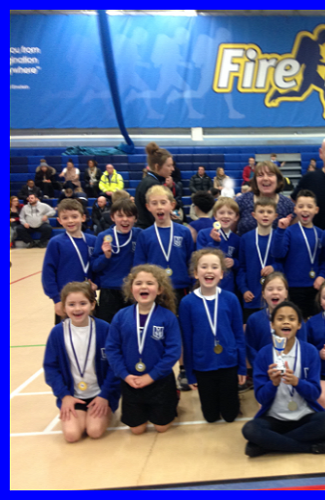 The Liverpool School Sports Partnership (LSSP) Year 3 and Year 4 indoor athletics competition started in November. More teams than ever had entered this very highly and fiercely competitive competition. Only the winners from each heat compete in the city final. On the 6Th January 2016 the six best indoor athletics teams from across Liverpool would contest the city final at, Toxteth Fire Fit. The teams were; St Sebastian’s, Lister Drive, St Austin’s, Booker Avenue, St Cuthbert’s and St Michael in the Hamlet. Three of the teams had been previous champions (Lister Drive, Booker Avenue and St Michael in the Hamlet). The competition was fierce throughout the races and field events the standard was extremely high. You did not know how well each team was doing overall until the results are announced. Even though we had competed really well in the racing events we did not know how well we had done in the field. The organisers had to recount the points again and this normally indicates a close result. 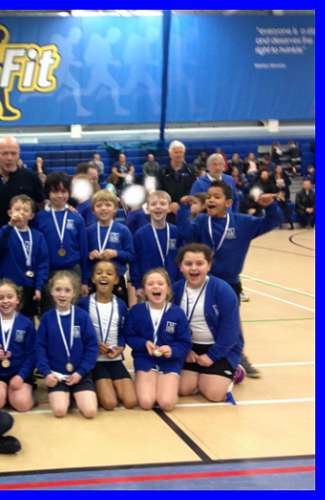 St Michael in the Hamlet athletic team won by a massive 22 points! What a tremendous effort from our athletics team in becoming ‘City of Liverpool Champions 2016.’ We have been successful in gaining the city title three times in the last six years. In the Year 3 and Year 4 competition St Michael in the Hamlet have reached the final every year for the last six years and the results have been : 3rd, 1st, 2nd, 1st, 2nd and 1st a super record! We are looking forward to competing in the outdoor athletics competition; fingers crossed we will have some city champions in our team.